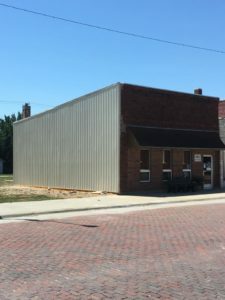 The City of Jewell was able to maintain and secure one of the few old buildings that are still present in our downtown, including new steel siding and insulation. The city office building is now sound and will be viable for years to come. The bare wall of the city office, that was left after a much-needed demolition of the neighboring buildings, is now repaired and secured. The project has given the downtown a fresh look. 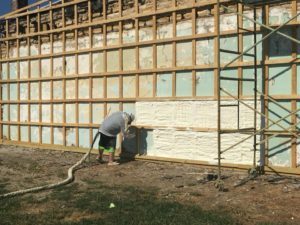 A grant from the Hansen Foundation helped to make the project a reality.